NEW! Premium Special Edition. Over 140 pages of high quality content. 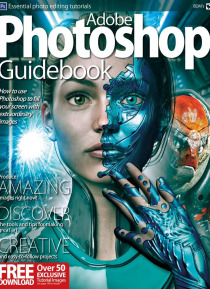 The only digital Adobe Photoshop user guide you will ever need. Adobe’s Photoshop package has many powerful tools to help you set your creative vision free. It can do as little or as much as you need, with enough features to satisfy professionals and beginners alike. If you want to adjust the brightness of photo or produce new… works of original art, the power to create is yours. The features and tools available are completely scalable and you can tap into more of its vast potential as you develop your skills. 100% Independent.